Super Hot Deal! 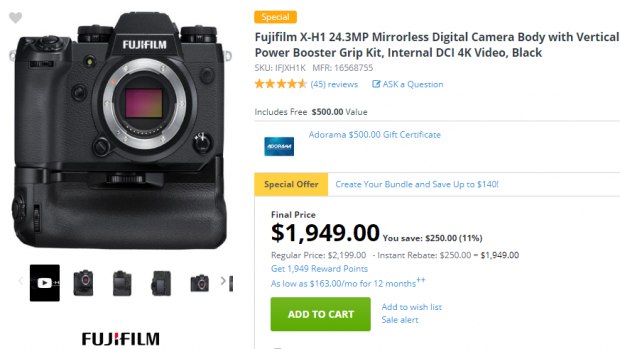 Today, Adorama has a great deal on the Fujifilm X-H1 with Vertical Power Booster Grip + $500 Gift Certificate for only $1,949! This is total $750 cheaper than regular! ← Hot Deal: Manfrotto BeFree Compact Travel Carbon Fiber Tripod for $169.88!